Every four years, much of the world becomes mesmerized by four weeks of glorious football, and the magic that some of the 64 matches can produce. It’s undoubtedly the supreme expression of the ‘beautiful game’. Even if you’re not fanatical about the sport, just watching a handful of the best matches can be an education in itself – not so much the differing tactics, personality and skill of the players but some inherently powerful leadership lessons. 1) Being the best/famous/most recognized team does not count for much as reputations are about the past, not the future. This world cup, as in past world cups, many former champions were humbled by other teams that did not respect their reputations, and with little to lose. A Costa Rican player was quoted earlier that his ‘group of death’ comprising three other world cup champions, England, Italy and Uruguay was a group where three former world champions were fighting for one of the two places allocated to proceed to the next round. How prophetic these words were. Instead of being the whipping boy of the group, Costa Rica soundly beat Uruguay, then Italy and drawing with England to qualify for the knockout stages. Just as world and European champions Spain were knocked out in the first round, sometimes, it’s just not about how badly some of the past champions played but more to do with how others have caught up, or simply played as though these teams had no reputation. So what laurels have we been resting on just a tad too long? 2) It’s a team sport, stupid. While the world focuses on some of the superstars of the game; players whose annual salaries are like the GDP of some small countries, we often fail to appreciate it’s ultimately a team game. 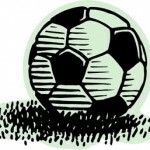 This raises an interesting leadership issues as to whether we should invest in a team of stars (who may all be prima donnas vying for personal glory), a singular player who can turn matches on a dime, like Argentina’s Lionel Messi, or count on old fashioned teamwork and a strategy that works uniquely for your team. For countries less gifted with money, and a large base of skilled professional footballers, a look at the last approach may pay dividends. Returning to Costa Rica, a country of a few million people, their team’s strength so far has been in the ‘collective’, and a set of tactics that work for them. By deploying a backline of five defenders, and two midfielders who can play deep, and also assist in defense, they have produced a team that is very hard to beat. Focusing on quick counter attacks and rehearsing set pieces; Costa Rica truly rely on a 100% team effort. You hear and read about things like “possession football” in the World Cup. Owing to the increased physicality of the game, many teams are striving to keep possession of the ball, stroking it around, and pressing the other side from the middle of the field. Spain probably exemplified this highly demanding style through their much vaunted “tiki taka” style of play where every player excelled at one-touch passing, with barely a second of possession before passing it on to another team member. But possession is not about scoring, and the game is really about scoring more goals than the other side. In the corporate world, many “quality’ initiatives or training ‘programmes’ are bought like so many tasks to be checked off a list. Few organizations want to invest in the time and process of actually wondering if these initiatives can be measured, and if they can lead to an actual change in the results of the company, as perceived by the customer. I don’t care how elaborate or popular your change process is. If the change isn’t felt positively by the customer through their buying patterns, then it’s been a waste of time. Clint Dempsey; Team USA’s captain in the World Cup described himself as a ‘lead by example’ kind of guy. The unfancied, but gutsy American team finally exited in the 2nd round, when beaten 2-1 by Belgium. But not before wowing a global audience. Their goalkeeper, Tim Howard, made 16 saves in that final match, more seen in any world cup match since 1966. When your last man, the goalkeeper, strives to keep you in the game, he can’t help but be inspiring to the rest. So, are you merely managing, or truly leading your team?